Sonia and her family will hold a 'havan' at the Congress' central office before that. She will undertake a roadshow before filing the nomination. Sonia is trying to retain this seat for the fifth time. Sonia will hold a ‘havan’ at the Congress’ central office before that. She will undertake a roadshow before filing the nomination. The UPA Chairperson is trying to retain this seat for the fifth time. 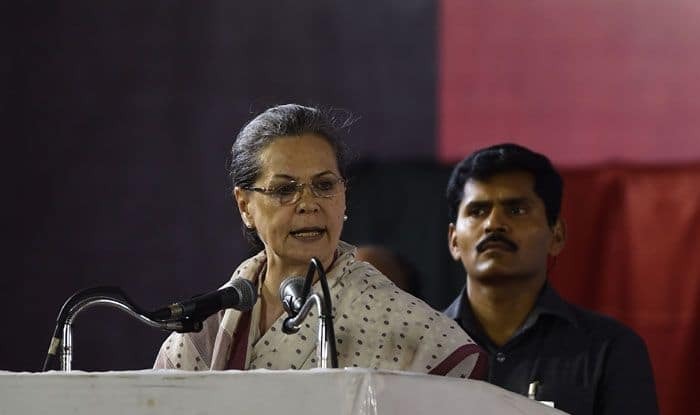 The seat, which will head for voting in the fifth phase on May 6, will see a straight contest between Sonia and Dinesh Pratap Singh, who had recently joined the BJP after leaving the Congress. The Samajwadi Party and the Bahujan Samaj Party have not fielded any candidate in this Congress bastion. Meanwhile, Smriti would be accompanied by Uttar Pradesh Chief Minister Yogi Adityanath when she files her nomination papers, a party spokesperson said. The Chief Minister will also participate in a roadshow before the nomination and later address an election meeting. The Amethi parliamentary constituency, represented in the Lok Sabha by Congress president Rahul Gandhi, has four Assembly segments of Tiloi, Gauriganj and Jagdishpur (reserved) in Amethi district and Salon (reserved) in Raebareli. Congress chief Rahul Gandhi has filed his nomination today. Amethi also goes to polls on May 6 in the fifth phase of voting.